Famous for its totem poles, float planes and camera-ready beauty, Ketchikan is known as Alaska’s “first city” due to its location at the southern tip of Alaska’s Inside Passage. A scenic town perched along the shores of southeast Alaska’s coastal mountains and surrounded by the protected waterways of the Inside Passage, Ketchikan is a popular cruise destination, as well as a wonderful spot for tourists who want to experience an Alaska vacation filled with wilderness and adventure. Such native cultural influences as the majestic totem poles can be seen on downtown streets, in local parks and museums. 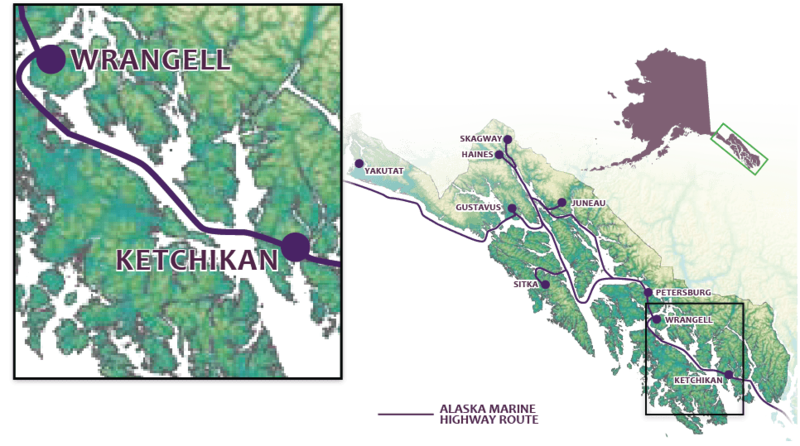 Ketchikan’s geographical location, in the heart of the Tongass National Forest, allows for almost 160 inches of rain each year. Rain, the locals will tell you, is why the fishing is unmatched, the trees are so green and the wildlife is abundant. Check out Ketchikan’s video and calendar of events. The Southeast Alaska Tourism Council is a cooperative marketing organization whose members represent the convention and visitors bureaus of Alaska’s Inside Passage.